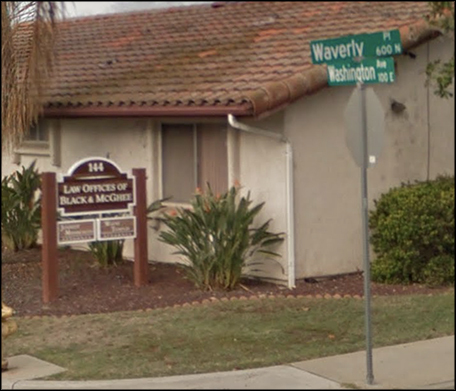 Directions to specialist law corporation in Escondido for probate, trusts, elder law, estate planning, VA planning, and wills: Black & McGhee, A. P. L. C.
From the south; San Diego, Poway, Rancho Bernardo: take I-15 N to CA-78 E (towards Ramona), turn right at N. Broadway, and left at E. Washington Ave. Turn left on Waverly Place to enter parking lot. From the north; Fallbrook, Temecula: take I-15 S to CA-78 E (towards Ramona), turn right at N. Broadway, and left at E. Washington Ave. Turn left on Waverly Place to enter parking lot. From Valley Center area: Head east on Lilac Rd toward Valley Center Rd. Turn right at Valley Center Rd. Continue on E. Valley Pkwy. Turn right at N. Ash St. Turn left at E. Washington Ave. Turn left on Waverly Place to enter parking lot. 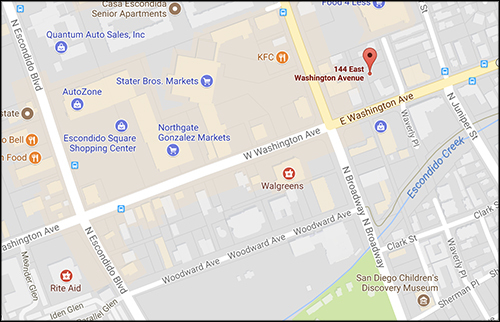 From the west; Oceanside, San Marcos, Vista: take CA-78 E (towards Ramona), turn right at N. Broadway, and left at E. Washington Ave. Turn left on Waverly Place to enter parking lot. From the east; Ramona/Julian area: head northeast on Main St toward 10th St. Turn left at 10th St and continue on Pine St. Slight left at W. Haverford Rd. and continue on San Pasqual Valley Rd. Then continue on S. Ash St. Turn left at E Washington Ave. Turn left on Waverly Place to enter parking lot. From Borrego Springs: head west on Palm Canyon Dr. toward Country Club Rd. Turn left at CR-S22/Montezuma Valley Rd. Turn right at CR-S2/San Felipe Rd. Turn left at CA-79. Turn right at CA-76. Turn left at CR-S6/Valley Center Rd. Turn left at N. Lake Wohlford Rd. Turn left at E. Valley Pkwy. Turn right at N. Ash St. Turn left at E. Washington Ave. Turn left on Waverly Place to enter parking lot. A Professional Law corporation specializing in Estate Planning (Trusts, Wills, Durable Powers of Attorney), Probate, Trust Administration, Conservatorships, Elder Law, Long term care planning, VA Aid and Attendance Planning, Asset Protection Planning. Kimberly R. McGhee brings extensive training and experience in the areas of estate and disability planning as she is a Certified Specialist in Estate Planning, Trust & Probate Law by the State Bar of California Board of Legal Specialization and Certified Elder Law Attorneys (CELA®) by the National Elder Law Foundation. 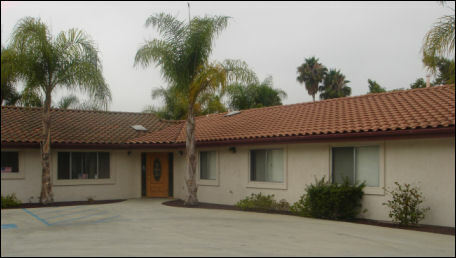 Located in Escondido but serves all of North County San Diego including Poway, Oceanside, San Marcos, Vista, Carlsbad, Encinitas, Rancho Santa Fe, Rancho Bernardo, Valley Center, Fallbrook, Ramona, Julian, and Borrego Springs, and the southern part of Riverside County including Temecula, Hemet and Murrieta.